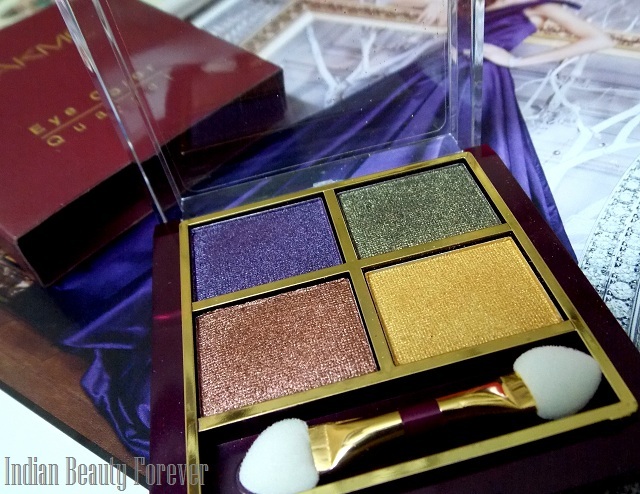 I will review an eye shadow palette today and being an eye makeup fanatic reviewing eye shadow is always a pleasure. These palettes/ quartets are here since a long time though I have not tried them before until this one came to me in my Lakme styling kit. I really liked the names they have given to these palettes. Price- 500 rupees. They were lesser earlier but now prices have gone up. Claims: "Let your eyes speak the language of summer. Versatile quartets of vivid, high intensity powders put together to color, shape and highlight your eyes in an explosion of radiant summer color. Unleash the tropical island woman within, with colors inspired by the Sun, sand and the sea. Delicious!" 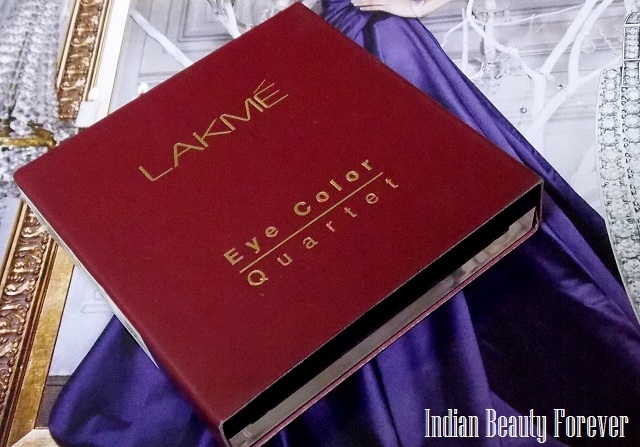 Lakme eye shadow quartet comes in a square packaging which has a transparent flip top cap. It doesn’t come with an inbuilt mirror but with a cute spongey applicator which in anyways I do not use both. I don’t remember, if I have ever used these tiny mirrors or sponge tip applicators ever. I must say that this palette is very sturdy and the top is very hard, I think it can be easily carried and you don’t have to worry about it breaking. Packaging in all looks classy with a good tough plastic material used unlike a cheap one. Shades: Top row has two colors, a pearly shimmery royal navy blue and right next to it, there's a beautiful Olive green color. These two colors are perfect for those when you wish to add some color to your eye makeup. 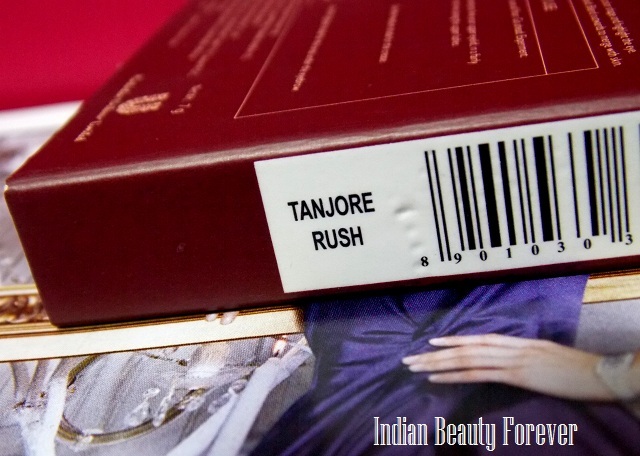 In the bottom row, it has a stunning brown coppery color and a pure gold both of these colors makes a deadly neutral combination that suits Indian skin tones and eye colors beautifully when paired with traditional dresses. All the colors are highly pigmented * highly, with pearly satin like finish. Fall out are there while using these so, better you should put some loose powder underneath the eyes and once your eye makeup is done, dust it off to get clear under eyes. You can see the swatches, they are so pigmented even without the primers. Beautiful texture and pigmentation makes these eye shadows last a lot longer and application very easy. For 425 rupees these 4 colors are a treat for me and it absolutely justifies the price. If you are looking for dupes of the two neutrals then the coppery brown color from this palette is a lot like Colorbar Single eye shadow in Spicy Brown and the gold reminds me of Colorbar eye shadow pot in Copper crush. Name says Copper crush but it is a gold color. 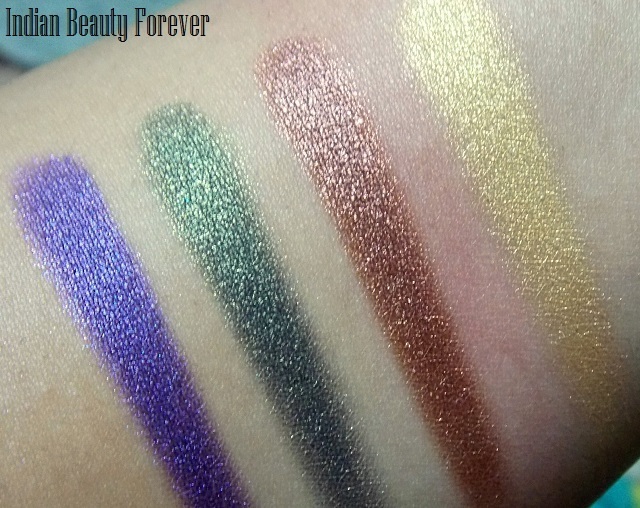 Below are the swatches of colorbar eyeshadow pots. I used the olive green here in this eye makeup!! Fall outs, these are shimmery shades so some fall outs would would be there. 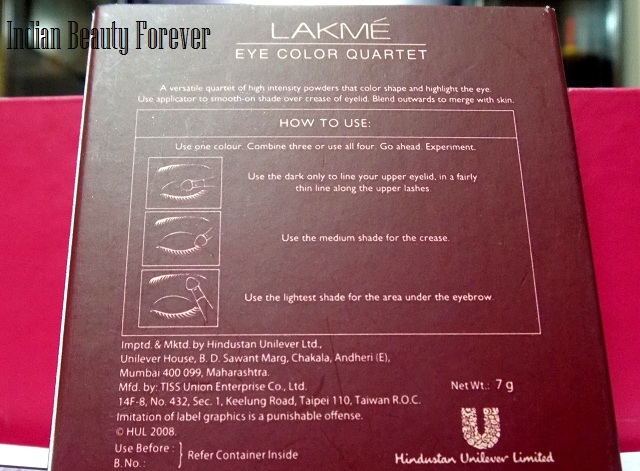 Take- I would highly recommend this Lakme palette/quartet for those of you who are looking for affordable and great quality shimmery eye shadows. If not this then there are other three set of colors too that you may try. Their great pigmentation and beautiful packaging makes this product a hit and great value for money. OMG, what a glowing pigmented jewel colored quad! ssoooo beautiful! I love the colors! I definitely see you using this! I loved their jeweltone finish! Would do it soon dear! I have this Quad and love it to bits!! Did an eye look for my Mehendi Ceremony with it. Will get my hands on the other quads when I come to India next. Is it!! Lovely!! :) You should definitely. Beautiful palette love the colors. Keep in touch. The colors looks beautiful and pigmented! Nice review. lol:D do find out! dear. Thank you dear! 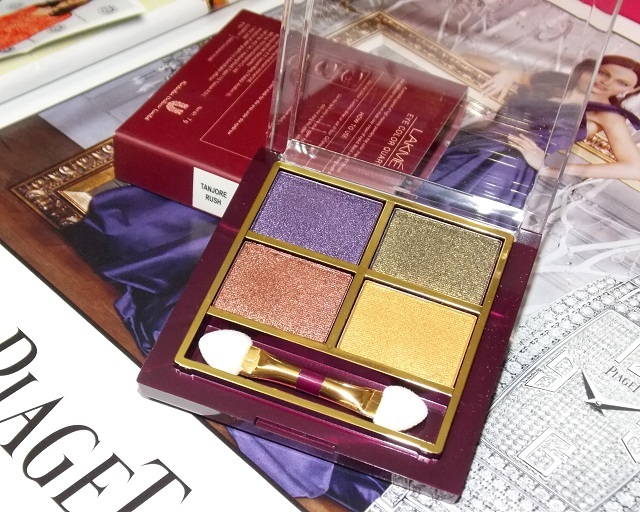 :) I love this palette for it's great pigmentation and colours. I wanted this palette just for the bronze shade...its so gorgeous! I am in love with that colour and the olive one too! Desert Rose is also good with subtle gold and pinks. Beautiful palette...the shadows are so pigmented! 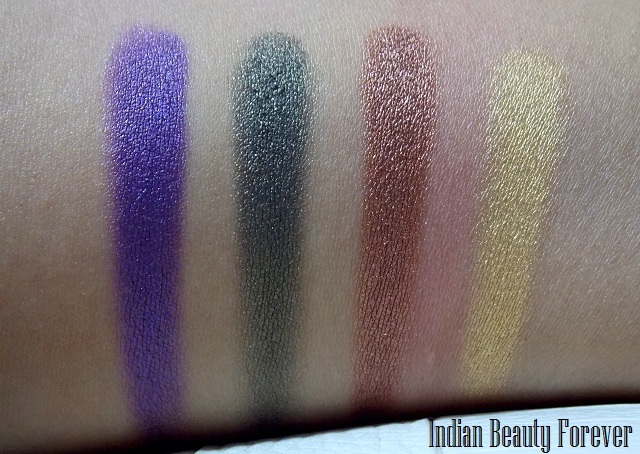 love the swatches :) but I do not like lakme eye shadows somehow.. nice review.. 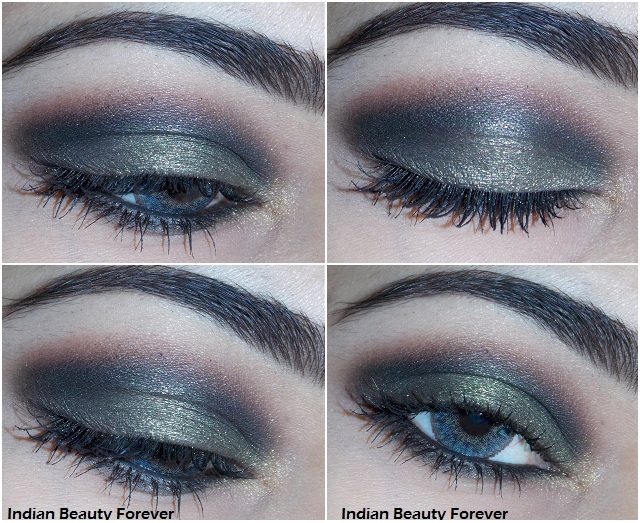 I love lakme eyeshadows, they have nice pigmentation and staying power. I will check out your interview dear. Thank you Natasha! :) Now a days, even Lakme has hiked their prices. I so agree Lisha! It is. Would do a look soon! Nice and vibrant ....loved it ! !